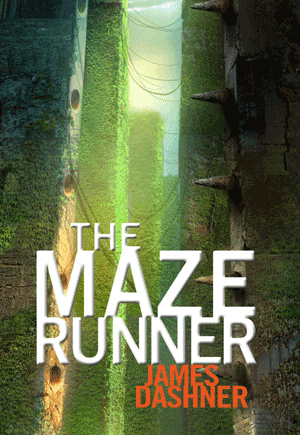 The Maze Runner by James Dashner is starting to become very popular! Recently the movie has just been released and the books are now getting a lot more hype than before. I read the Maze Runner a few months back and I would love to share my non-spoiler review with you! If you do not know what the Maze Runner is about, it is about a boy named Thomas who wakes up in a elevator, all his memory's have been swiped and all he knows is his name. The elevator arrives at this place called the glade, its in the centre of a maze. There are also other boys in the glade, stuck in the same situation has Thomas. Thomas and the others have to find their way out of the maze, without getting killed! everything is super creative and unique. I have heard quite a few bad reviews on this book but I ignored them and read the book anyway, And I am so glad I did, This book is one of my favorites. Its action packed and awesome, and also has moments of laughter which makes it a super fun read! I definitaly recommend this book and I gave it a 5/5 stars!